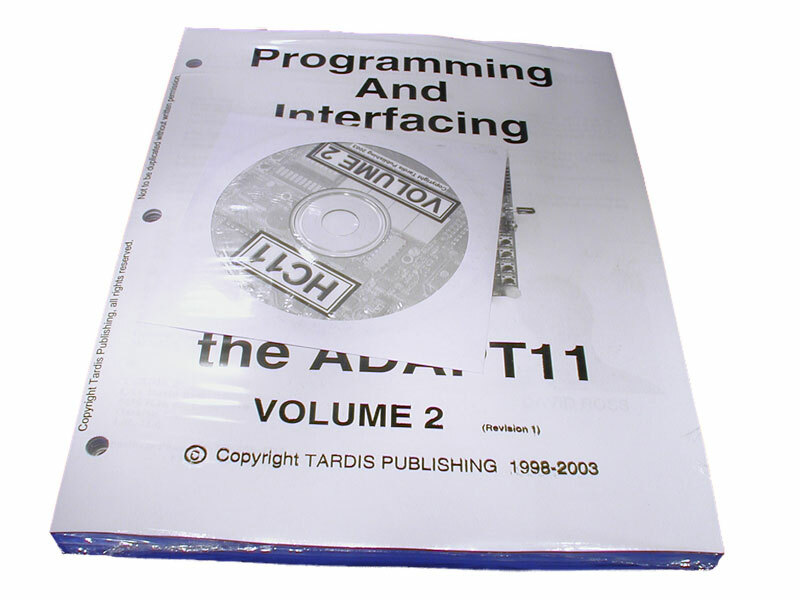 This volume focuses on the Adapt11 Memory-mapped Interface Board (AD11MIB) populated with four 7-segment displays, Bargraph LEDs, Switches, Temperature Sensor, Light Sensor, Speaker, and Infrared Transceiver system. Since the devices on the 'MIB are memory-mapped, most can be manipulated directly by using just the BUFFALO monitor, without the need for any programming. Having this type of access, lets you play around with these devices first, before you need to program them. 1. Formatting the PC Screen so that it can display selected MIB device information (using built-in Buffalo Subroutines), and ANSI Escape Sequences. 8. Using the A/D Converter Subsystem to acquire Temperature Sensor, Light Sensor, and other external Analog values.